For AARP Car Insurance and discount programs in every state, visit the link shown below. This page provides fast facts pertaining to Florida auto insurance. Here's how to choose the lowest cost Florida car insurance premium package that works best for you. Actuaries set car insurance premiums based on numerous factors. Among the site specific variables affecting premium rates are weather conditions, road and traffic conditions, economy, median age of residents, and population density, for instance. Other factors affecting annual premiums are individual characteristics like the age, gender, marital status and driving habits of the vehicle's owner, among other things. The Average Annual Auto Insurance Premium for drivers in the state of Florida was $2,050 this year. This is noticeably higher than the overall annual national average for car insurance at the time, which was about $1,365. Florida drivers who get ticketed for driving without insurance are subject to fines, license suspension and possibly jail time. Repeat violations are met with harsher penalties. As an added insult to the financial injury, drivers with suspended licenses face hefty reinstatement fees. Nonetheless, Florida has more uninsured drivers on its roads than ANY other U.S. State. More than 1 in 4 vehicles driven in the state of Florida is uninsured. The state of Florida has the lowest required minimums on auto insurance of of all U.S. states. The minimum coverage in Florida is only 10/20/10 per vehicle. This will not often be enough to cover the actual cost of an accident. That's why insurance analysts recommend at least 100/300 coverage for each owned vehicle in the United States. That's $100,000 in Personal Injury Protection (PIP) coverage and $300,000 in per-accident coverage. Comprehensive insurance is generally recommended for Florida drivers, although Comprehensive coverage doesn't cover certain types of damage, such as a broken windshield. Florida drivers also need Uninsured Motorist Insurance (UMI), because of all the uninsured drivers on state roads. 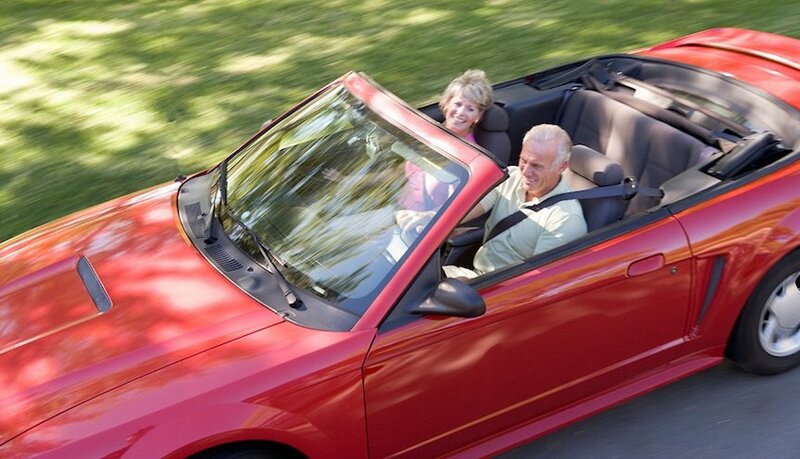 If you are a driver over the age of 65, consult with AARP Car Insurance through The Hartford. They can get you the best deal. Car owners in Florida can save a lot on car insurance by qualifying for discount programs. Among the many available discounts are safe driver discounts, good student discounts, senior citizen discounts, and multiple auto discounts, as well as price reductions for using anti theft devices, or owning more than one policy. In fact AARP has a special combination deal of you have your homeowner's policy and your auto insurance policy with the Hartford. Seniors 55 and above are also entitled to Defensive Driving Course discounts for passing a state-approved course. What's more, Seniors can contact AARP car insurance services to even further reduce their premiums. Ask every agent you speak with about discounts on Florida car insurance. Still, many Florida car owners prefer local or regional carriers. Either way, the state of Florida supports many car insurance companies offering discounts and competitive rates. First, obtain a few free online quotes. Then, call several local agents for more free quotes, and don't forget to ask about their discount programs. Finally, add up the discounts, compare quotes, and choose the cheapest premium package that works for you. Free Printable Map of Florida.